1. Assess your level of understanding on USMLE Step 1 content. Get a baseline of what you already know vs. what you will be tested on. Take practice tests and run through question banks. Once you understand your strengths and weaknesses, focus on what you don’t know. Study. Then assess your level of understanding again. Wash, rinse, and repeat. 2. Find your study sanctuary. Is it the library? A coffee shop? Wherever it is, keep it for studying only. Not Facebooking, not Tindering. Keep it free of all distractions. Seriously. Stop swiping right. 3. Get on a schedule and stay on it. Sleep, exercise, studying etc. Get in the habit of staying on schedule. Once it’s time to hunker down and only study for the USMLE Step 1, you’ll have already trained your body and mind to be able to easily focus on command. 4. Stay Fit. Exercise regularly. On top of the many benefits of being in shape, physical exertion is a great way to release stress and bring needed energy to your already overworked body. Coffee and Red Bull can only do so much. Skip out on the junk food and avoid all things that you attach to the term “food coma”. You call it a food coma for a reason. Fill your body with energy boosting, nutritional brain food. Check out our blog on 10 Med School Hacks for Fueling your Brain for more tips. Sometimes this sounds like a joke. Sleep vs. Study. But what if you could Sleep your Way to Getting the Best Best Score? Your brain needs recovery time; give it 7 to 8 hours at least. Zzzzzzzzz! 7. 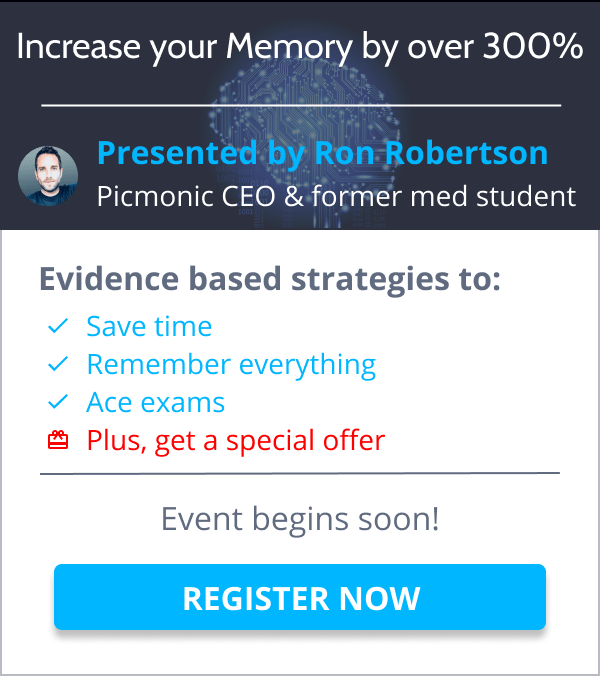 Get Picmonic and start USMLE Step 1 prep early. Okay, well I know this blog is titled 6 habits, but we would be doing a disservice if we didn’t mention this: The #1 comment we receive from our subscribers is that they wish they had started with Picmonic earlier. We decided to add a brand new 6-month (& 18-month for the MS1s) subscription option for you to take advantage. 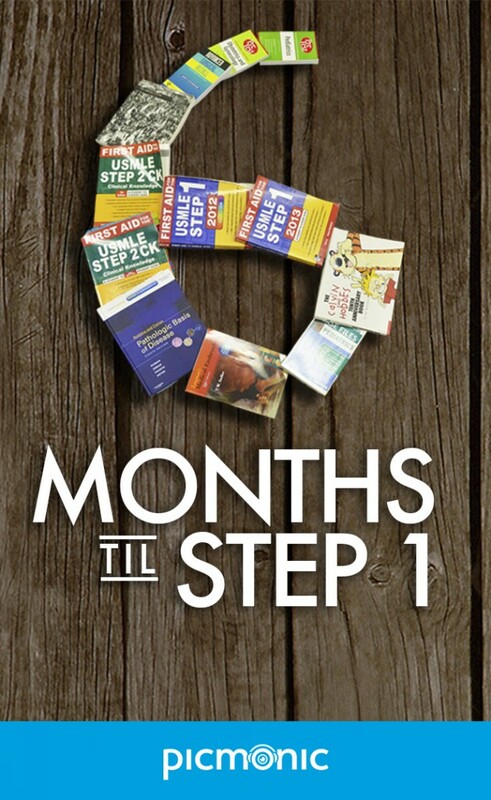 Start studying now to get the Step 1 score of your dreams! Click here and then select the “Six Month” option. Use Picmonic for Medicine study materials to get yourself 100% ready to take on the beast that is Step 1!